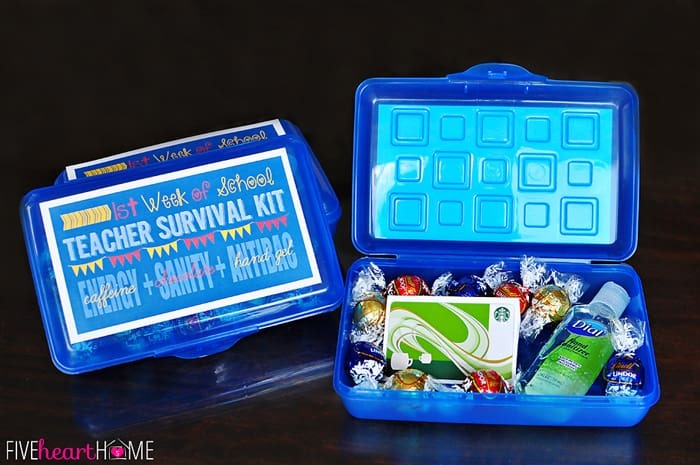 Home » Back to School » Back to School Teacher Survival Kit Gift ~ FREE PRINTABLE! 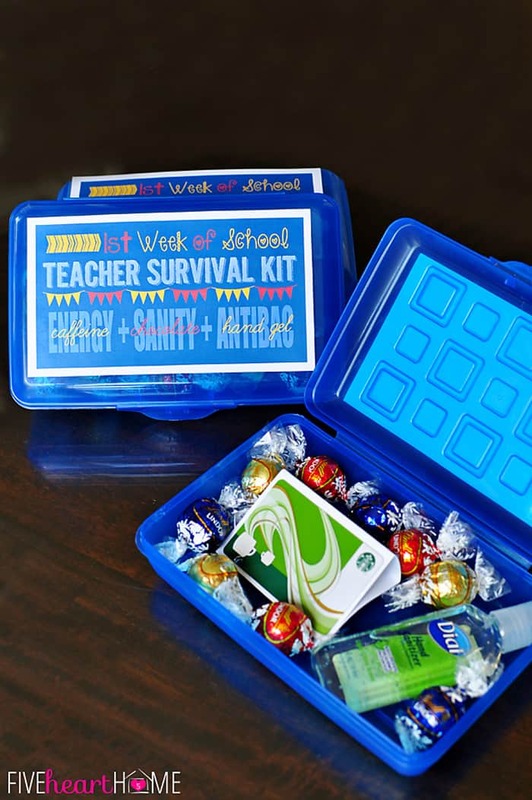 Kick off the new school year with this back to school teacher gift, a survival kit which is sure to help your teacher make it through that busy first week with a smile! When I was a first grade teacher, there were three things I required to get through the first week of school: energy, sanity, and a boatload of antibacterial hand sanitizer. Now that I’m a mom of a first grader, hopefully my kids’ teachers will appreciate these “survival kits” full of the same. The first week of school is a long one for everyone involved. By the end of the week, the kiddos are worn out from absorbing rules and learning schedules, sitting still and paying attention. The parents are worn out from getting up early and staying up late to make sure that clothes are washed, lunches are prepared, and backpacks are packed. And the teachers? Y’all, the teachers have already been up at the school at all hours of the day and night for weeks now, setting up their classrooms and attending inservices. Then the first week of school hits and the actual students arrive, and they need additional stamina and patience to make sure that their new little learners are happy and engaged, that they’re making new friends and following new rules, and that nobody gets lost! 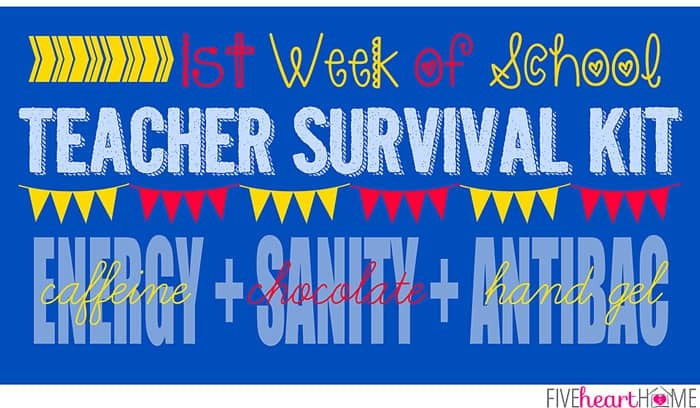 It’s a fun but exhausting week, and I think just about every teacher out there would appreciate some caffeine and chocolate to power through it. To put together my First Week of School Teacher Survival Kits, I picked up some pencil boxes in the school supply aisle at Target for 50¢ each. I used a Starbucks gift card for the caffeine portion of the kit, and I also threw in some decadent chocolate truffles and a small bottle of antibacterial hand gel. You can be as conservative or generous as you wish with the Starbucks card…$5 would score your teacher a caffeinated treat one morning or afternoon, or a higher amount would fuel them over several Starbucks runs. Regardless of what your budget allows, the gesture would be much appreciated. However, if you don’t want to go the gift card route, there are some additional ways you could use this printable. 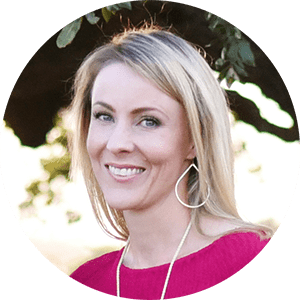 Instead of putting everything in a box, you could alternatively pick up a 20-ounce soft drink or a bottled coffee drink, tie a chocolate bar and bottle of hand sanitizer on either side with some colorful ribbon, and then use the printable as a tag. 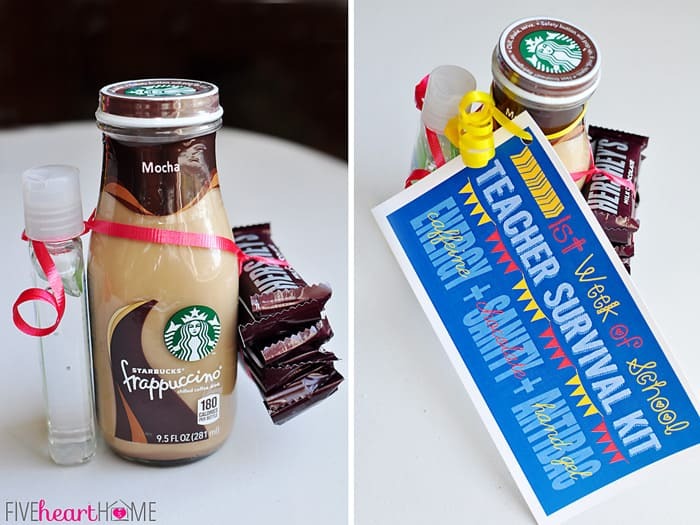 The whole point of any teacher gift is to let our educators know how much we appreciate that they teach and care for our most prized possessions for so many hours of the day over so many months of the year. It’s a gesture that doesn’t need to cost a lot. And oftentimes, a heartfelt, handwritten note is the best gift any parent (or student) can give. I know that on the first day of school, you may not know the teacher yet or have much to say, but a simple We’re so happy to have you as a teacher and we’re looking forward to having a great year with you! is a great first step towards building a positive parent-teacher relationship for the upcoming school year. And, of course, it doesn’t hurt if you choose to throw in some high quality chocolate with that message. From students to parents to teachers, I hope that everyone has a positive, successful first week of school. Happy School Year! 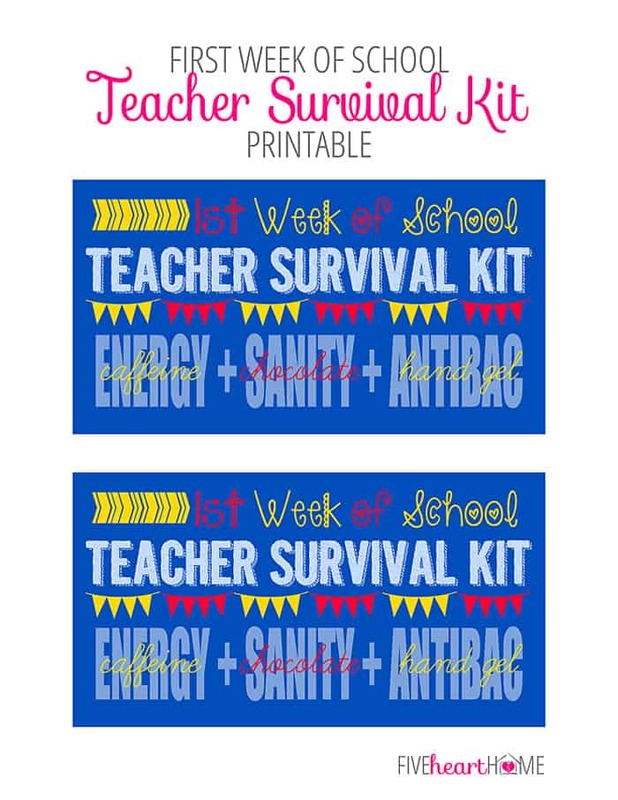 This Back-to-School Teacher Survival Kit is a high resolution PDF, printing two tags to a sheet. Print on card stock, cut out, and attach to “survival kit” with double-sided tape. Or for alternative gifts, punch a hole in the corner of each tag and tie it on with ribbon. Please be patient if these take a moment to load. For personal use only, please. Enjoy! Looking for a fun after school snack for the kiddos? have become a first day of school tradition at our house! Found via time to sparkle, love this idea!! Totally brilliant, doable and customizable. Awesome! Thank you so much for the kind words. I’m glad you like the printable and hope you find it useful! Such an adorable idea! I am so doing this! This is a really cute idea. I’m glad my son’s school starts in a couple weeks; I still have time to pull something like this together! 🙂 Thanks for sharing! Thanks so much for stopping by, Emily! I know what you mean…school can really sneak up on you. I practically have to start thinking about it in July to get everything done in time! Hi Samantha! What a fantastic idea – love this! 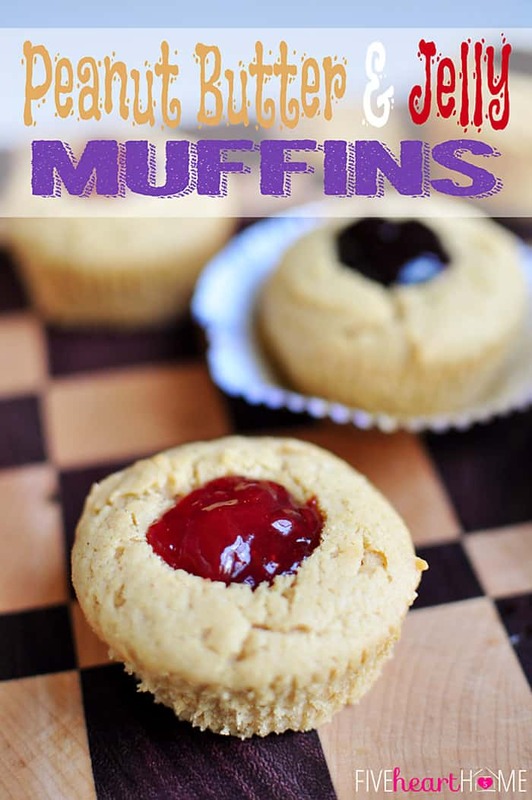 Thank you SO much for joining us and sharing this and your fabulous muffins at Best of the Weekend – pinning to our party board and will be sharing on FB and Twitter tomorrow. Please have a wonderful weekend and hope you’ll join us again next week! I appreciate everything, Cindy! See you next week for Best of the Weekend again… 🙂 Hope you have a terrific weekend! Love this! Going to do this for my son’s new 2nd grade teachers. They would definitely love it! What a great idea! Pinning and printing! What a great idea! and it’s easy and inexpensive. I’m a teacher and I would love to get one of these. I’m so glad you like the idea, Pam! And yes, that’s always my litmus test when I’m coming up with teacher gifts…would I have enjoyed receiving this gift when I was a teacher? 😉 Thanks so much for the comment…have a great week! Thanks so much for the kinds words, Krista! And I appreciate you hosting! I love it.. and I would love to get it! School, here, doesn’t start for another 3 weeks, but most of us have been at school this week already! Thanks, Megan! I can totally relate to spending weeks ahead of time up at school getting everything ready, and I know most teachers do the same. That’s why I think teachers deserve a little treat and token of appreciation on that very first day… 😉 I appreciate you stopping by and hope your upcoming school year is a great one! What a cute idea!!! School started here last week – but I’ll Pin to save for next year! Love this idea, I’m sure the teachers will appreciate it too! Thanks so much for the comment and the pin, Samantha! I hope your teachers enjoy this gift next year! This is a great idea. I am sharing with my daughter & daughter-in-law! I’m visiting from Monday Funday Linky Party.. thanks so much! Thanks, Mary! I’m so happy your daughter and daughter-in-law might be able to use this idea! Super cute idea, I love it and will probably use it for my daughter’s teacher this year! Ha, Randi! I think you’re on to something…you aren’t the first one to suggest that to me. 😉 Thanks for stopping by and I’ll definitely check out your next link party! Where can I sign up to be your kids’ teacher?! This is adorable!! 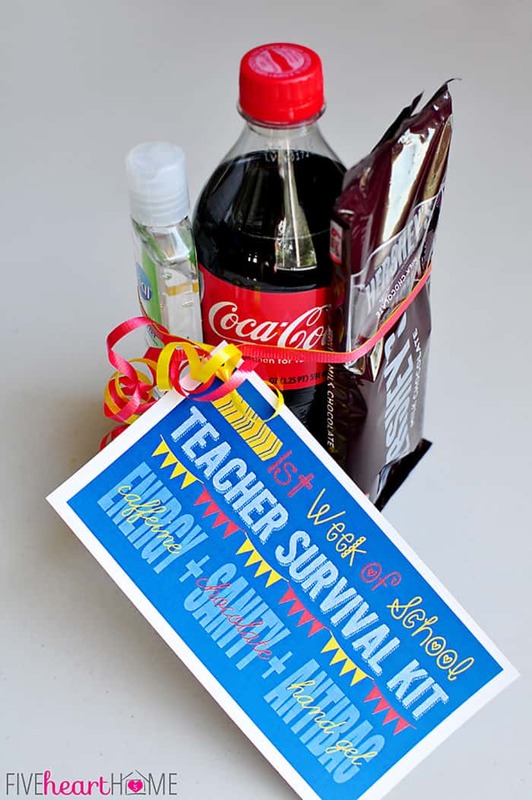 Any teacher would love to receive this, and that printable is just perfect. 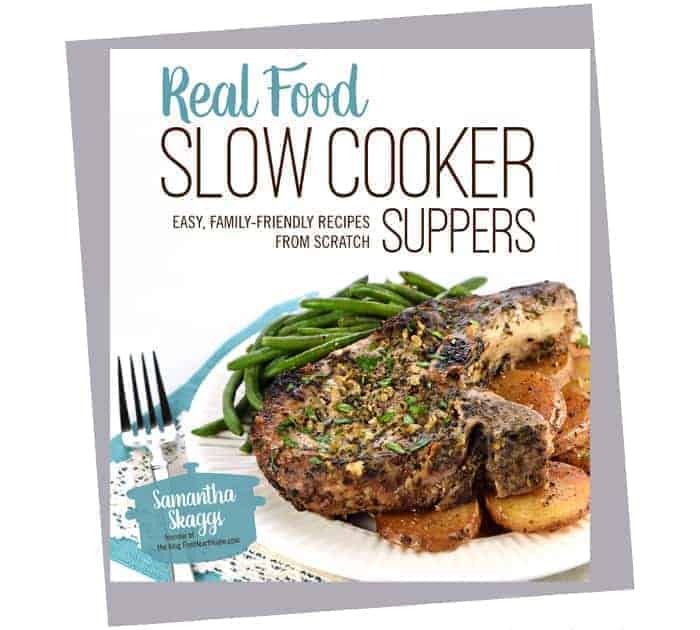 Awesome project, Samantha! This is so cute! And thank you so much for the printable. It’s adorable! You’re very welcome, Erin! I’m glad you’re going to be able to use it and I hope your teachers love it! I will be featuring you tomorrow at the Show Stopper Party! What an honor, Lyuba…thank you so much! These are so cute! 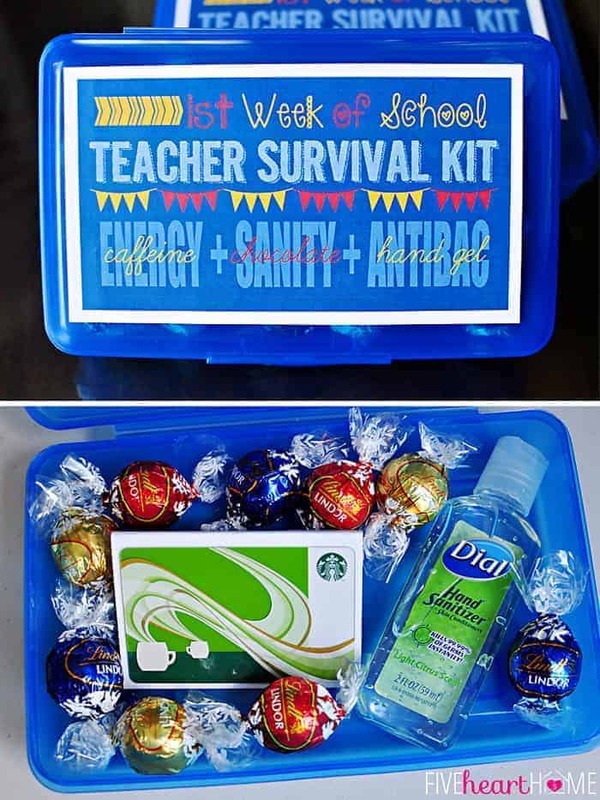 I would love it if one of my students showed up with this on the first day! Love this! I’m going to make this for my daughter’s teacher and send it tomorrow! Even though it will be Thursday when she gets it, it’s technically still the first week of school! Might be the perfect thing to get her through the last two days of the week!!!! By the way, just found your blog and love it! 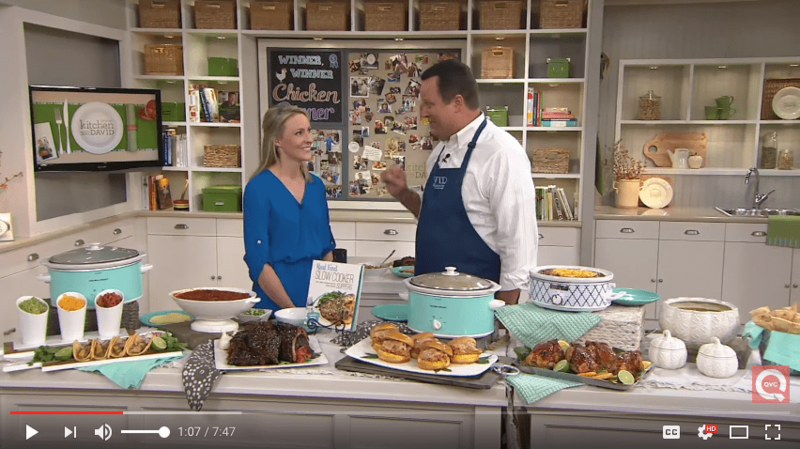 Thank you for sharing your ideas and inspiring such fun and creative projects, recipes, etc…Can’t wait to explore your site some more! Thanks so much for the sweet comment, Sarah! I bet your teacher loves her gift (it’s never too late for chocolate! ), and I’m so glad to hear you’re enjoying the blog. Hope to see you back soon! I just so happened to stumble across your website and found this cute idea, thank you so much for posting this! This will be my son’s teacher’s first year so it will be a memorable one for her. I’m very happy to hear that you’re going to be able to use this idea, Jessica! I think your son’s teacher will love it, and you are sweet to want to make her first year special. 🙂 Happy back-to-school and thanks so much for stopping by! This is AWESOME! Great ideas! I used this as a gift for my summer worker (she’s a teacher in real life). It was a big hit!!! Thank you for all your creative ideas. I’m so happy to hear that you were able to use this idea, Kristin, and that your gift was appreciated and enjoyed. 🙂 Hope you had a great summer! 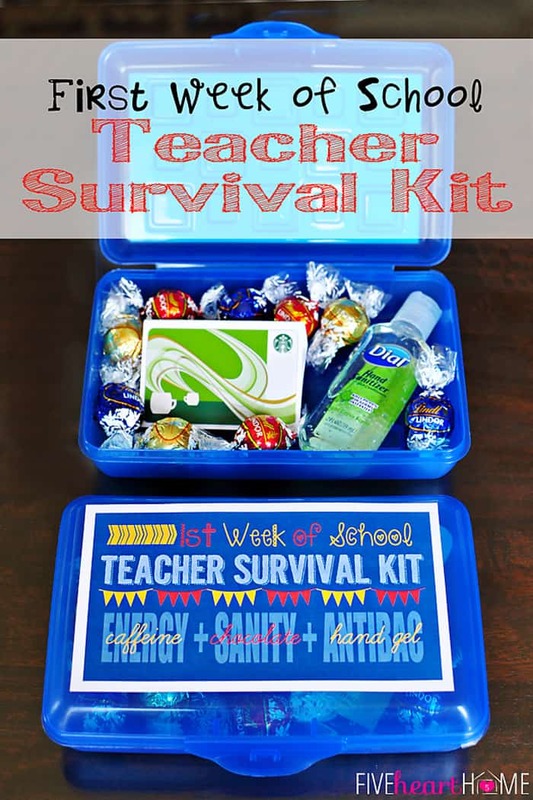 Love these but wish there was a version for the “Last Week of School Survival Kit” We teachers definitely need all of these ideas for the last week just as much as the first week! !